Representatives of the network have held a meeting in which they have pointed out to the head of the Government of Spain on depopulation the importance of combating this serious problem. The Network of Souther Sparsely Populated Areas (SSPA) has held a meeting in Madrid with the new Commissioner of the Government for the Demographic Challenge, Isaura Leal, in which he has been informed of the work that has been done for four years since the business organizations of these provinces in order to reverse the serious situation of depopulation they suffer. Leal, accompanied by its director of Analysis and Strategy, Ignacio Molina, wanted to know first hand the work done by the SSPA, which has been represented in Madrid by the CEOE CEO Teruel, Carlos Torre, the CEOE CEO CEPYME Cuenca, Ignacio Villar, in addition to Javier Martín and Paulino Herrero on behalf of the Local Action Groups and Sara Bianchi ,as coordinator of the SSPA Network. During this meeting, representatives of the SSPA have made it clear that it is important that there is a strategy against depopulation and that it focuses on those territories that are worse off, such as these three provinces, whose depopulation is recognized by the Report Geospec to be below 12.5 inhabitants per square kilometer. In this sense, they have transferred to the commissioner the report made after the study trip to the Highlands of Scotland, a territory that has managed to reverse this phenomenon thanks to some very specific policies. Based on this experience in Scotland and the situation of the three provinces, as well as the analysis of its experts, SSPA has prepared a position paper in which the strategic measures that they consider should be put in place to reverse this process are indicated. . Among others, issues such as financing, taxation, facilitate the arrival of investments, infrastructures, communications via the Internet and also social aspects such as health and education are collected. 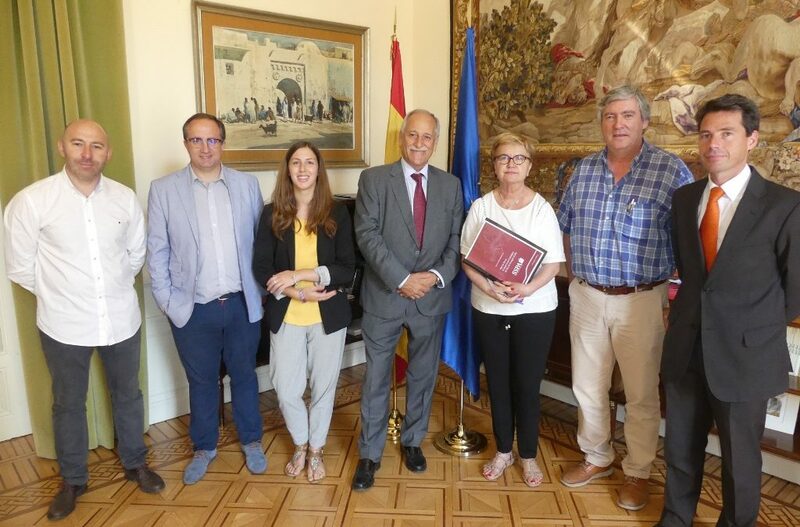 This document was delivered to the commissioner for the Demographic Challenge, Isaura Leal, who undertook to study its contents and thanked the work of those responsible for the SSPA in order to reverse a problem that is seriously affecting rural areas. Spain.